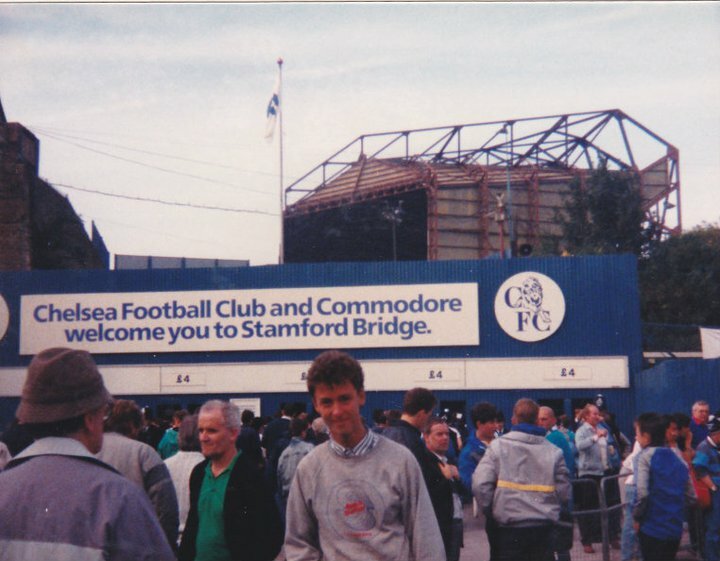 Stamford Bridge looked resplendent as the floodlights lit up the undersides of the towering East and West Stand roofs. How dramatic everything looks under lights at a midweek football game. There was an ethereal, electric glow in the air. The contrasts between night and light, outside and in, is always so marked at night games. The sense of drama seems to increase tenfold. And no more so for a European game such as this one. Blue, blue, white versus white, white, blue. A night of contrasts indeed. Over in the far corner were around one thousand four hundred away supporters. There were a couple of yellow and blue Ukraine flags. I didn’t see any protesting banners aimed at our Russian owner. As the teams had entered the pitch, many of the Ukrainians had held their phones aloft, with the lights switched on. I noticed a few similar lights being shone in the East Upper too. It was obvious that the fans of Kiev were not limited to the south-east corner. 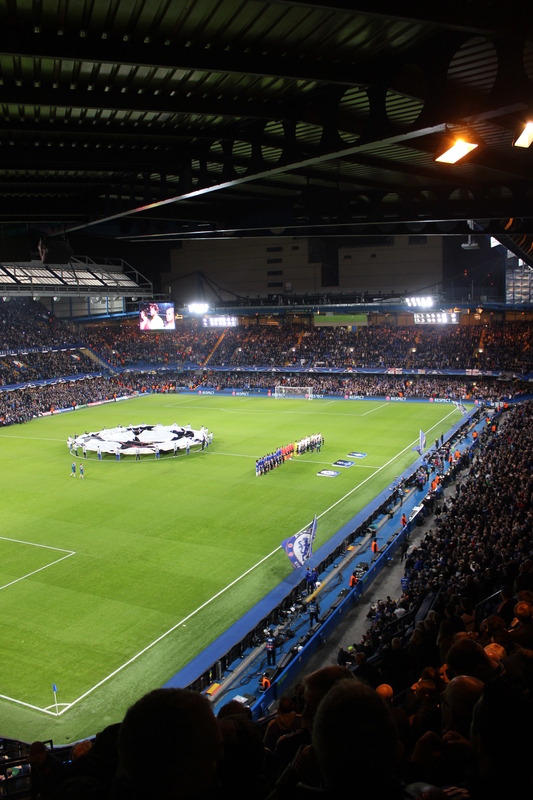 The players had walked across the pitch to take position in front of the West Stand and then there was the ritual of the Champions League anthem – noticeably booed for the first time at Stamford Bridge – and the waving of the iconic black and white flag in the centre circle. What drama would unfold beneath me on this tense night in deepest London? I had spoken to a few respected friends in “The Goose” before the walk to the stadium. I could not remember a – so to speak – “run of the mill” Champions League group phase game that had made me feel quite so tense, yet energised, eager, yet anxious. This was a game that was simply, pardon the horrible cliché, a “must win” game. In the pub, we spoke earnestly about the state of the nation. 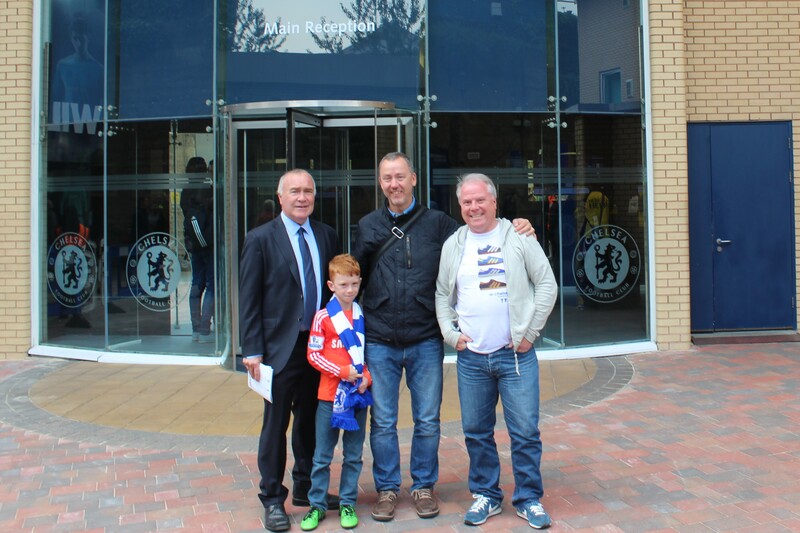 We spoke about the current health of Chelsea Football Club. We had a good old chat. 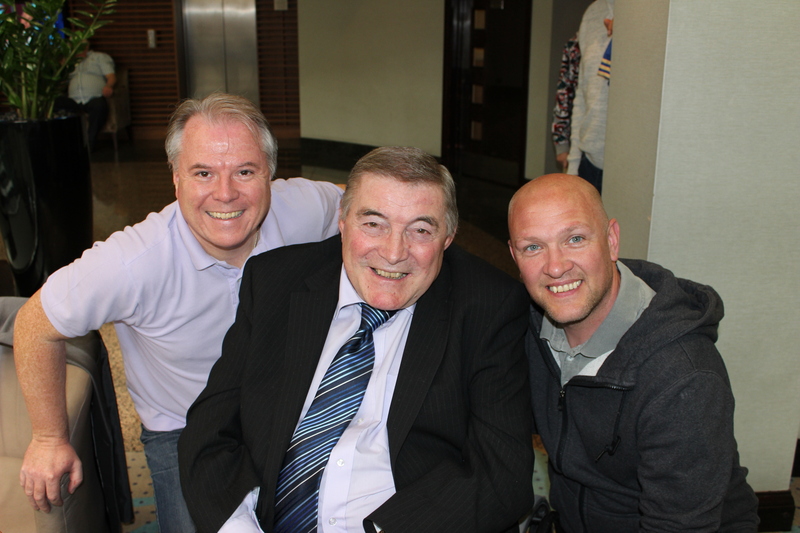 I admitted to Daryl and Andy – the three of us met for the first time in Wenceslas Square in Prague in 1994 after our first European game since 1971 – that I have looked at our current situation from so many different angles, from so many different viewpoints, that I had almost confused myself. We were, undoubtedly, the number one news story in British sport going in to this first week of November. I could hardly believe my eyes when I saw that our particular ailments had possessed the BBC to air an article about our club on their main evening news, from 6pm to 6.30pm, on Tuesday. And it was not during the sport section at the end. It was the fifth or sixth story in, even one ahead of the much more newsworthy topic of Michelin making seven hundred workers redundant in Belfast. As is so often the case, the team news had broken while we were in the pub. I suppose the biggest story was that Eden Hazard was on the bench. 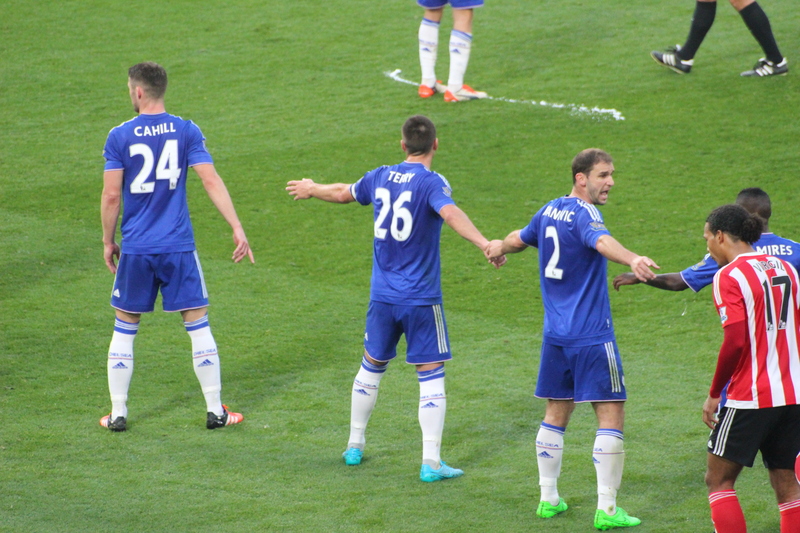 Begovic – Azpilicueta, Terry, Zouma, Rahman – Ramires, Matic – Oscar, Fabregas, Willian – Diego Costa. As the game began, I was instantly enthused; our play seemed to be a lot more aggressive. With Oscar hugging the far touch line and Willian offering width, as impressive as ever, out on the right side, we threatened to get behind them on several occasions. Nemanja Matic, often a disappointment this season, seemed to be back to his best, snuffing out attacks with well-timed tackles and blocks, then moving the ball on. 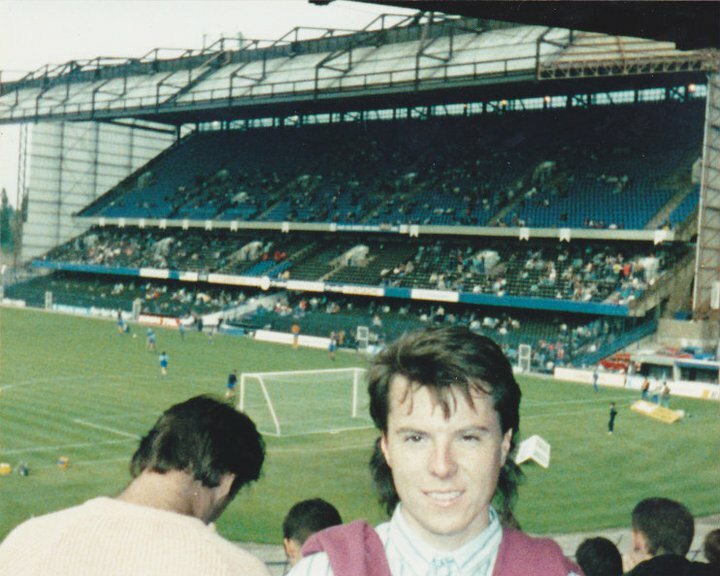 Yes, there were occasions when we tried to be too dainty, looking for intricate balls through to Diego – or as I said to Alan “too much up our own arse” – but generally speaking the play was far better than in previous games. It was so noticeable that the crowd were warmed by this positive start. “Jose Mourinho” was chanted and our manager quickly waved an appreciative hand. On two occasions we had shots on goal which were sadly aimed straight at the Kiev goalkeeper. We were keeping the away team penned inside their half. They hardly threatened. This was all one-way traffic. Alan and I mulled over the sight and sound of the away fans. They had charged us just £3.50 for a ticket in the away end in the Ukrainian capital. Tonight’s game was £35. I sincerely hope that the Dynamo club had subsidised their tickets. I wouldn’t fancy paying the equivalent of £350 for a match ticket. Alan had been out in Kiev. He spoke about how dull and dismal it was. And so it proved, with just two chants aired all night. Soon after, Willian ran deep inside the Dynamo box and whipped the ball in, towards a waiting Diego Costa. Dragovic attempted to block but could only divert the ball past Shovkovshovskiykovshovkovskiy. Phew. Get in. I punched the air and awaited Alan’s joyous return. The noise, which had been steady and appreciative, rather than constantly loud, increased. In the closing moments of the first forty-five, Diego Costa was sent through but seemed to delay a little too long. He went down, and the cry went up for a penalty, but the referee was having none of it. The home crowd were baying, but at half-time I overheard someone say that it had been a Diego Dive. Pathetic. An early shot would have been so much better, Diego, mate. At the break, Bobby Tambling was on the pitch reminiscing about a certain night in Munich. Meanwhile, in that very same city, Arsenal were getting pummeled. In the match programme I spotted a complete list of our opponents in our UEFA history. Covering 26 countries and 76 clubs it was quite a list. Unsurprisingly, Italy, Spain and Germany lead the way with seven clubs apiece. The oddest entry of all involves our neighbours to the north. Our sole tie against Scottish opposition? Soon in to the second-half, it was plainly obvious that we had lost the momentum gathered in the first period. Our visitors – the first to bear the name Dynamo since the visits of Moscow Dynamo for friendlies in 1945 and again in 1978 – had begun well. A quick break by Kravets in the inside-left channel caused us all to tense up. Thankfully, a magnificent sliding tackle from behind by King Kurt – impeccable really, one of the highlights of the season – saved us. It was quite magnificent. We were getting increasingly sloppy and our visitors were making headway. It was quite a turnaround to be honest. I had been impressed with their number ten, Yarmalenko, in the first game and my eyes were on him throughout the game. A couple of chances were exchanged. 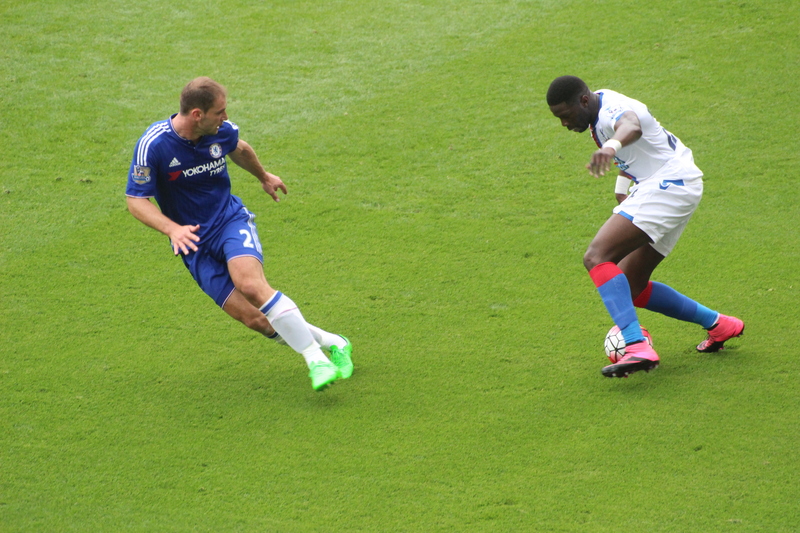 From a deep, in-swinging free-kick from Willian, Kurt Zouma stretched, but his effort whistled past the far post. Kiev kept coming at us though. We – the team and crowd alike – were getting nervy. I have to say that Cesc Fabregas was again rather poor and his play in the second period deteriorated further. A draw in such circumstances would be unbearable. This really was a “must win” game. With just twelve minutes remaining, a defensive jumble allowed Dragovic to drill home at the far post. Stamford Bridge let out a collective groan. The Kiev fans celebrated wildly. It was the loudest that they had been all night by some considerable margin. They had been, for their reputation as avid and raucous fans, surprisingly mild all night. I suspect that their numbers in SW6 consisted of ex-pat Ukrainians now living in London with work rather than the rather more working class, and noisier, ultras, left at home to watch in bars in their home city. Jose Mourinho immediately brought on Hazard and Pedro. Five minutes later, with the home crowd buoyed by an upturn in our form, we were rewarded with a free-kick about twenty-five yards out. There was only one man who would be taking this one. But first, a Chelsea superstition. On many European nights, Alan brings a pack of “Maynards” wine gums. On this night, we had shared a few. I have mentioned the wine gums before. They rarely let us down, Moscow being a rare example. The ball was placed behind a semi-circular flash of shaving foam. The referee spent a while pacing out ten yards. I had my camera poised. I kept focusing and re-focusing. I clicked as Willian struck. I looked up to follow the beautiful flight of the ball as it was whipped up and over the redundant wall and watched – these wonderful moments – as it flew into the waiting goal. As Willian reeled away down below me, I kept my cool. As he slid, I clicked. He was soon joined by all nine of his outfield team mates in a lovely scrum right down below me. The photographs continued. It was all over in ten seconds, but I had captured a little bit of Chelsea, and Mourinho, history. Photographs taken, I bounced over to celebrate with Alan. Wine Gums 2 Dynamo Kiev 1. What a feeling, to be so close to dropped points, but to battle back with another late European goal. Although Willian was the man of the moment, quite deservedly, the Stamford Bridge crowd turned our attention to the slight figure on the far touchline. Then, quite by surprise, quite spontaneous, a sustained round of applause which seemed to go on for longer than I – or anyone – could have expected. He might be a bit of a pain at times, but Mourinho is one of us. This simple yet profound show of support for our beleaguered manager would surely touch Roman Abramovich, wherever he was watching the game unfold, as our owner – possibly – toyed with thoughts of the future. Eden Hazard, seemingly keen to keep himself in the picture, danced away down below me in the final few minutes and attempted to increase the score. 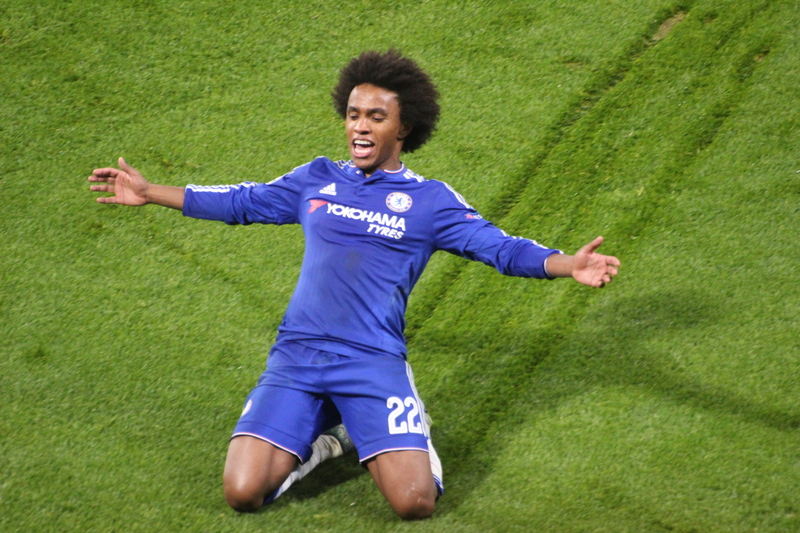 This was Willian’s night – and Mourinho’s too – though. This was a hard-fought win. I didn’t like the way that our form dipped in the second-half, but this was a game we just had to win. And win it we bloody well did. Whisper it, but a corner might well have been turned.